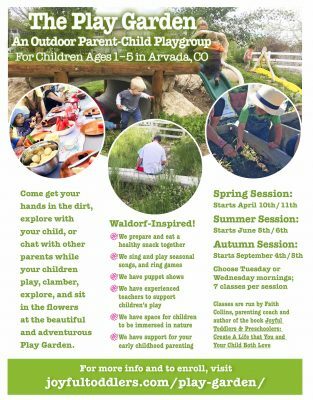 Join Our Play Garden Classes! - Joyful Toddlers! Choose Tuesday or Wednesday mornings. Spring session starts April 10th and April 11th! I’d love to see you and your little one there. If you’d like to come for a visit, I’d be happy to show you around.